Vicky and Sam got married at a lovely intimate church - St Johns The Evangalist in Byley and their Reception was held at Haslington Hall. They spent the day surrounded by their lovely family and friends and partied hard into the night in the marquee. It was such a fantastic day to be part of, there were so many lovely thoughtful special touches. I have never felt more welcome at a wedding and made to feel like I was part of the family - Thank you! 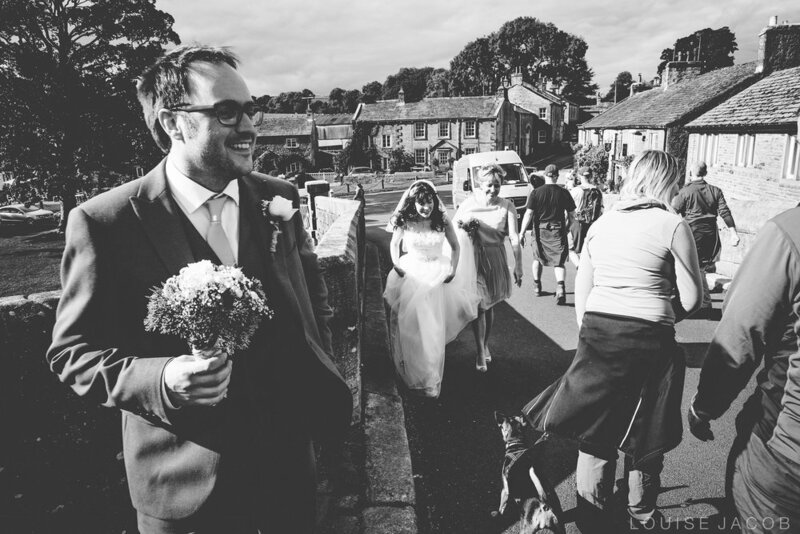 Throw back to the middle of August, their wedding day was relaxed and informal with the service held at Sutton St James Church in Macclesfield followed by a brilliantly chilled out reception at The Windmill Inn in Whiteley Green. It's a beautiful little pub with a certain jé ne sais-quoi about it! A perfect setting for an intimate summer wedding! And my goodness - summer it was (a distant memory now!). We took a little detour to Bottoms Reservoir (a spot which Michèle and Tony visit frequently together) on the way to the Windmill for some relaxed un-posed couple portraits which were a great opportunity for them to have some alone time to gather their thoughts. What can I say apart from WOW. Just wow! 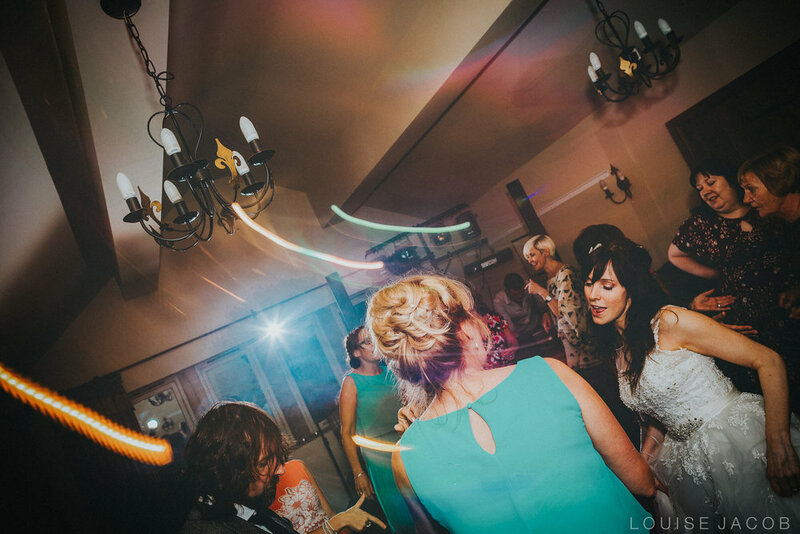 This is Sophia & Jonathan's gorgeous wedding at West Tower country house in Cheshire a few weeks back. 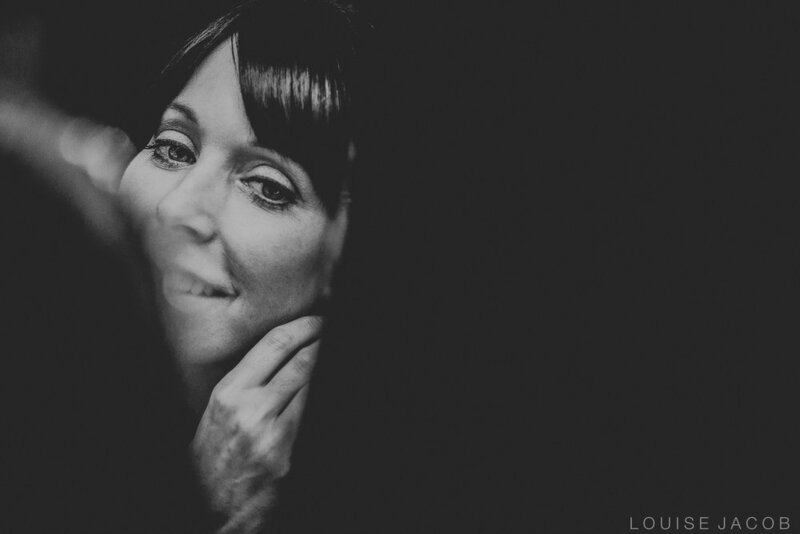 They are so absolutely head over heels in love and to quote Roald Dahl - it shines out of them both like sunbeams! 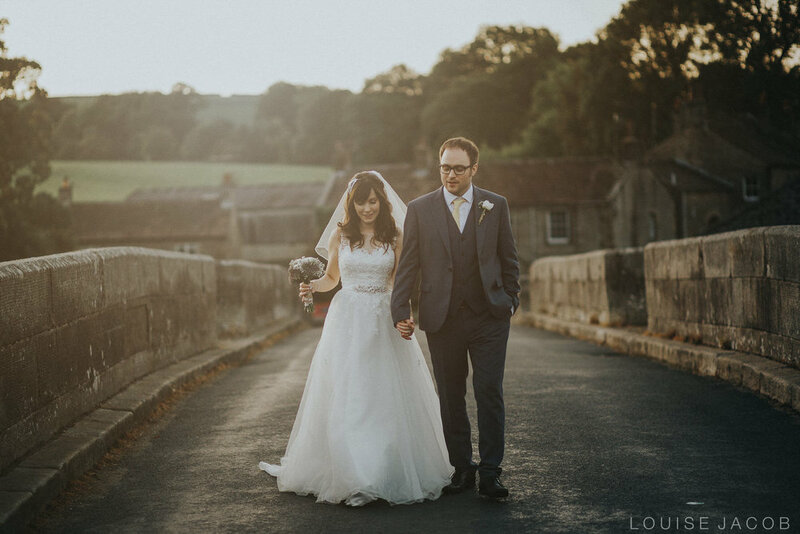 It's been a while since I've blogged as I'm in the middle of peak wedding season, but I just couldn't wait to share Mel & Tara's wedding with you. 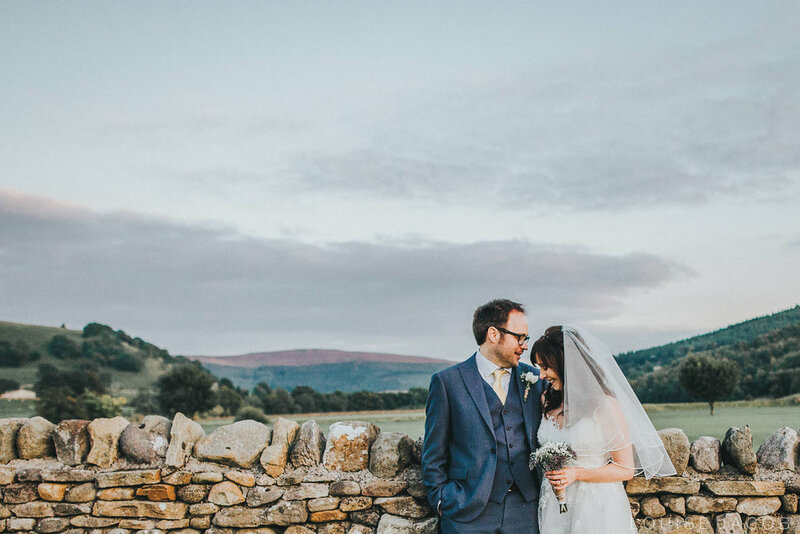 They tied the knot on Saturday 20th August at Hartford Golf Club - The theme was their 'Seven Year Hitch' and their wedding was nothing short of amazing! Mel & Tara are head over heels in love. They are two of the nicest people I've had the pleasure to meet and I'm so honoured I got to spend the day with them! So much thought and attention to detail had gone into their wedding - with garden games, Harry the Kidz Bus and an ice cream van... The tables were adorned with lyrics from their favourite songs their guests enjoyed a lovely BBQ with not one but two wedding cakes including a rustic 'Cheese' cake. I remember it well - I had no wedding gallery to show them at this point but I'd photographed a prom among other things which I took on my laptop and I remember thinking to myself there's not a cat in hell's chance they're going to want to book me! I suggested that we did a kind of 'test shoot' afterwards to see if they liked me and my work so we spent a lovely morning at Delamere Forest for them to get a feel for how I worked. I was so nervous showing them the photos afterwards but they loved them and to my surprise they booked me as their wedding photographer!! So thank you Vicky & Sam, SO much - for taking a chance on me when I was very new to the industry. Your booking gave me the confidence to believe in myself and here I am nearly two years later, a full time wedding and family photographer and loving every minute! I am excited beyond words to capture your big day in September - I know it is going to be amazing!! Hayley and Russell certainly know how to throw a great party! Not so long ago, they contacted me to ask ask if I would photograph their country garden wedding reception in Macclesfield. They'd tied the knot in Italy two weeks earlier and invited their friends and family to a relaxed garden party at the family home in the beautiful Cheshire countryside. A hog roast was served and a Ceilidh or two was danced. Surrounded by love the evening was filled with fun and laughter and the weather most certainly didn't disappoint - the sun shone down the entire time! So.... I wanted to share with you a favourite picture of mine from a recent engagement shoot at Dunham Massey in Cheshire. Sophia and Jonathan tie the know at West Tower in Ormskirk at the end of the month but for the e-shoot, we spent the day exploring Cheshire's finest National trust land! The backdrop in the picture above is is the underside of an giant uprooted tree. We stumbled across this massive fallen tree and I asked Jonathan to scoop Sophia in his arms. I love the moment between them and I love the tree roots as the backdrop too. Nature is just so amazing isn't it. And these two are just so gorgeous! Bring on the wedding!! I loved spending the afternoon with Sophia and Jonathan at Dunham Massey in Cheshire for their Engagement shoot. A perfect location and one of Cheshire's gems. They are clearly head over heels in love and it most definitely shows in their pictures! They are also complete naturals in front of the camera! The sun was shining and we had a great time exploring Dunham Massey. I love pre-wedding shoots because they allow me to get to know my couples before the wedding which makes it so much more relaxed for them on the wedding day. Although I shoot weddings completely candidly (aside from bride & groom portraits) I do like to do a little creative posing on an engagement shoot but I keep it fun and it's kept to a minimum!! Sophia and Jonathan are tying the knot at West Tower country house in Ormskirk at the end of August and I feel so blessed that I have the honour of capturing it for them. Their wedding sounds incredible, I loved hearing about all the little touches that they've planned and I can't wait to see it all on the wedding day! 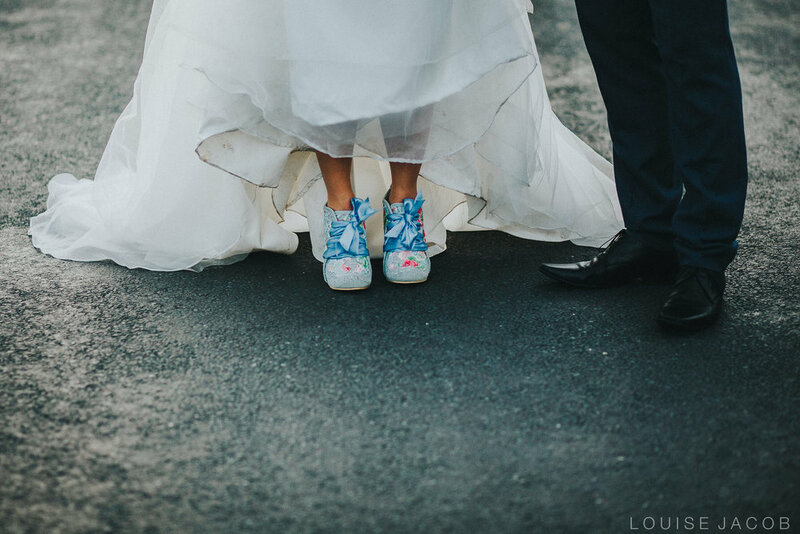 If you're planning your wedding and would like to discuss documentary wedding photography, or indeed fun-filled enagement shoots then please do get in touch - I would love to hear from you! I usually shoot in Landscape, I'm not sure why, it feels more natural to me but this picture had to be made in portrait to get the length of Ambers dress in the frame. I like it though. Dad is to the right, looking at his little girl, probably wondering how all those years went by so quick, the wedding car is just outside the door. A completely authentic moment, not set up. I know it's not technically great. I think I've cropped the bottom of the dress, yes I have. There's somebody behind Amber in the doorway and the highlights outside are blown but I don't care about any of that. I care about moments and this is one. I love the rim light on dads face and I love the impromptu pause before they leave for the church, just father and daughter alone, calm and gathering their thoughts ready to enjoy the day ahead! I can't remember my settings, but it looks like I was spot metering on Amber's dress and I was probably somewhere between f2 and f4. This was with my Nikon 24mm 1.4 lens. And you know me - I love black and white! Have a great week it's nearly Friday!! Nikon D750, 24mm1.4 @ f2.2 1/250th sec ISO 4000. Before I changed to Fuji X Cameras (which allow me to work more inconspicuously at weddings) I was a huge fan of the Nikon D750 for it's amazing low light capabilities. I've done nothing to this image apart from a simple black and white conversion and the noise (grain) is almost non-existent even at ISO 4000. William was so excited and proud to be pageboy and ring bearer at Amber & Jack's wedding. What an honour! You can see and almost feel just how important his role is to him. I absolutely love this image - there's only one thing on his mind at this exact moment that's the task in hand! He did a superb job too! I'm a big lover of mono in my pictures especially if the colour is distracting or doesn't really add anything to the story so. I think this picture really works in black and white. I'd love to hear your thoughts too.... Do you like this picture? How does it make you feel? Do you think it would work as well in colour? Amber and Jack are two beautiful souls, madly in love and two of the nicest people you could ever meet, so when they asked me to photograph their wedding I could not have been more excited! When I'm not shooting my own weddings I love to second shoot for other wedding photographers. For this wedding I assisted Chris from Carpe Diem Photography on 4th June. 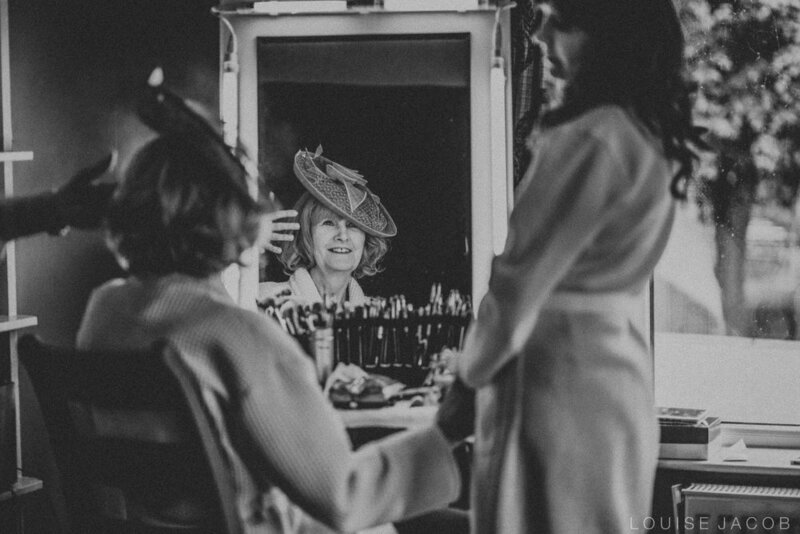 I usually work alone myself, because it allows me to work more unobtrusively but a second photographer can be handy if you would like both bride and groom preparations captured or if there are many locations to your day or if your guest list is over 150. If you choose to have a second photographer you can also expect to receive around 200 more images. My second photographer packages begin at £150 for Groom Preparations up to £350 for a full day. Rebecca and Ian got married at St Oswalds Church in Brereton in Cheshire, with a gorgeous marquee reception to follow at their family home. 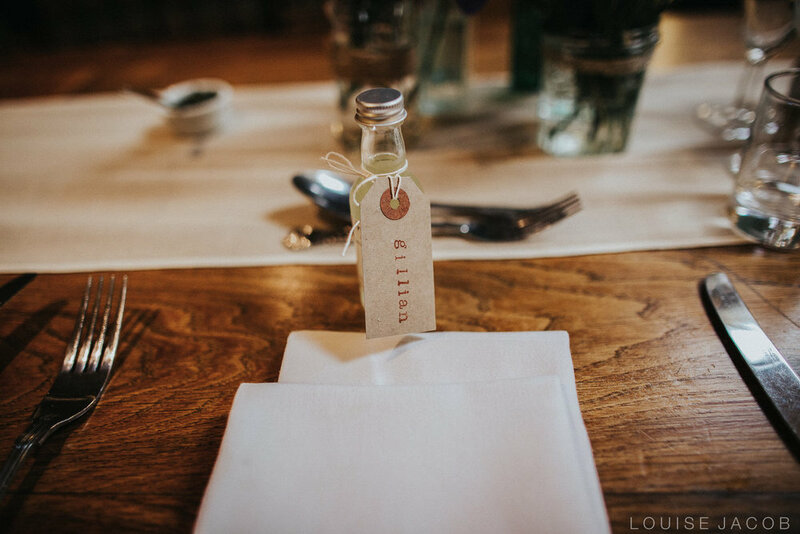 Cheshire Wedding Photography - Behind The Lens. Nikon D750, Nikon 24mm 1.4 @ f1.6 ISO 640 1/250th. There was a large window behind them which threw a lot of light onto the bride and her dad. Then a simple black & white conversion in Lightroom, bringing down the blacks and increasing the contrast slightly then a tiny crop to crop out dads hands. This is one of my favourite images from a wedding I shot up in the Lake District in May. The bride was running really late for the ceremony and here she is with her father sweeping down the staircase en-route to the church. 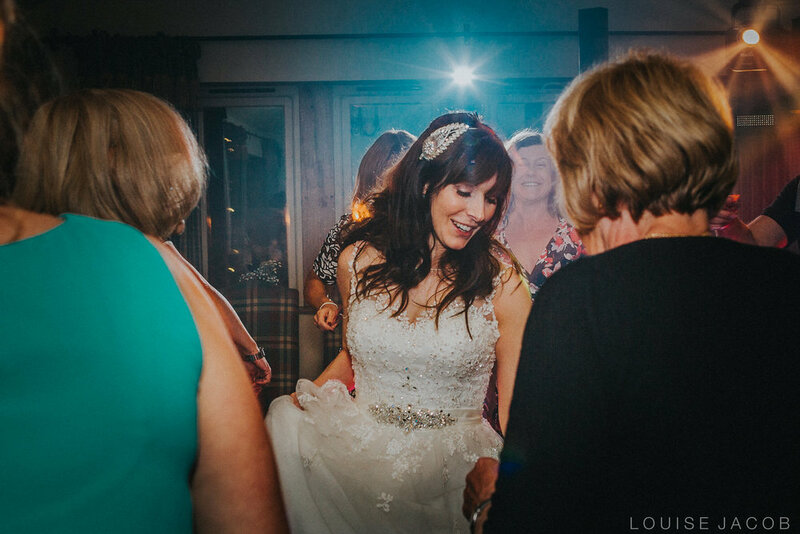 Amber was the loveliest and most relaxed bride and to me this image completely encapsulates the mood of the moment. Quietly, calmly, nervously and excitedly rushing downstairs to the wedding car to head to the church to marry the man of her dreams! I love finding new perspectives and using different angles for variety. I have a tighter crop of this image but it doesn't have her father in it and I don't think it is as strong an image. I had a fabulous second shooter at this wedding (Lucy from Starwinkle Photography) who was already at the church with the groom and guests so I could stay with the bride. At the time I shot this with black and white in mind and I love the emotion in it even though you can't see any faces. I think colour would really detract from that emotion. Had I stopped them at any point the picture would no longer be candid and the moment would be lost. When I photograph a wedding, I am constantly looking for moments like this and I hope you can 'feel' this picture as much as I can. * This image won an image critique competition yesterday whilst I was on a Wedding Photojournalism workshop by Kevin Mullins. CHESHIRE WEDDING PHOTOGRAPHY - WHAT IS A PRE-WEDDING SHOOT? So you've decided on your wedding photographer! Congratulations - choosing one is no easy task I know!! But what is this 'Pre-Wedding Shoot' that you've agreed to? The shoot will show your photographer how you interact as a couple and you get to see the way your photographer works too, but really it serves more of a purpose than that. Picture this.. It's the morning of your wedding. It's bridal prep and you're in the midst of a room full of hustle and bustle. Emotions are running high, there might be tears, there's definitely chaos ...then all of a sudden there's a knock at the door. Would you rather a familiar face or someone you've never met? Remember they're going to be with you every step of the day. Ok, I know some of you might not mind one bit, and you may be confident and comfortable in front of the camera already and thats great, really it is! But for others, opening the door and inviting someone into a very personal space is quite a big thing and to open the door and see someone they've already had the opportunity to work with already is very reassuring. A signature mount with a 'pre-wedding shoot' centrepiece for guests to sign at the reception. 1. They're loads of fun! 2. They're a good opportunity to have a practise in front of the camera. 4. You could tie it in with a venue visit. 5. You could go someplace really special. 6. You get to see how your photographer works. 7. You get some great pictures. Thanks for reading! I hope I've been able to shed a bit of light on why we, as photographers think that pre-wedding shoots are awesome! I LOVE doing them for all the above reasons but mainly because they're such a laugh & I really do love getting to know my couples more! Rebecca McKinley - Make-up Artist, Hair Couture - Hair Stylist, Gayle Hall - Flowers, Lechelles Bridal - Wedding dress, DIY Bride - Bridesmaids dresses, Carl Oliver - Wedding cake, Dave Osborne - Singer, Ian Entertainment - DJ, Suits were from Greenwoods & Shoes from Next. Massive Congratulations Mr & Mrs Burns. Wishing you a future full of love luck & happiness! 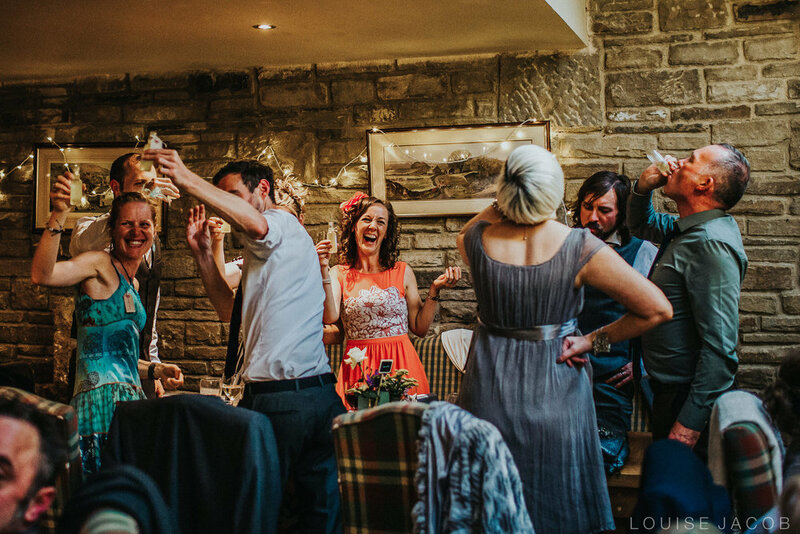 Unposed Documentary Wedding Photography at The Red Lion and Manor in Burnsall. Featured on Brides up North.